You're probably thinking: There's no way I'm going to live to 100. I'm not sure I want to live that long, even if I could. But odds are, you will. And, while your parents and grandparents may have been blindsided by their longevity and suffered for it, that doesn't have to happen to you. Aging can be a good thing, the opportunity to realize all of your dreams and establish a remarkable legacy, if you prepare for it. 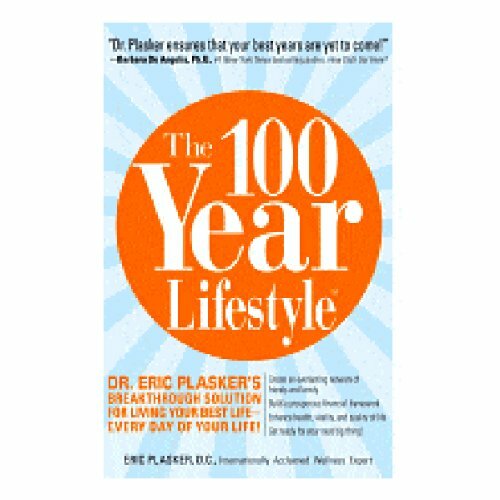 Based on Dr. Plasker's best-selling wellness system, The 100 Year Lifestyle reveals the secret to making the most of your extended lifespan. It gives you all you need to enjoy the highest quality of life as you age in years: without aging in body and mind. Your centennial is in reach with Dr. Plasker's ideas and methods for diet, nutrition, exercise, mental agility, creativity, finances, friends and family, work, community, and achieving a sense of purpose. With Dr. Plasker as your guide, you can make the 100 Year Lifestyle leap into the healthiest, happiest time of your life: every day for the rest of your life! ©2007 Dr. Eric Plasker (P)2007 Listen and Live Audio, Inc. The audiobook goes through some great steps to help you reach the best age you can and to get there in style in all areas of your life. It is straight forward without complicated strategies.